"Excellent service and very professional look. Choir are impressed and did'nt think they would look as good as they do!" "I, and the choir are absolutely delighted with the folders, the logo looks great. Thank you for your brilliant service - I will be more than pleased to recommend you to anyone interested"
"Very good quality folders, all the features one wants, and very light"
BARTS Choir - One of the oldest and largest choral societies in London. "I am emailing to confirm the folders arrived this afternoon. They are great, thank you very much"
"The folders I ordered from you on behalf of Sheffield Oratorio Chorus have arrived and we are very pleased with them, thank you"
"Thank you so much for our new folders. 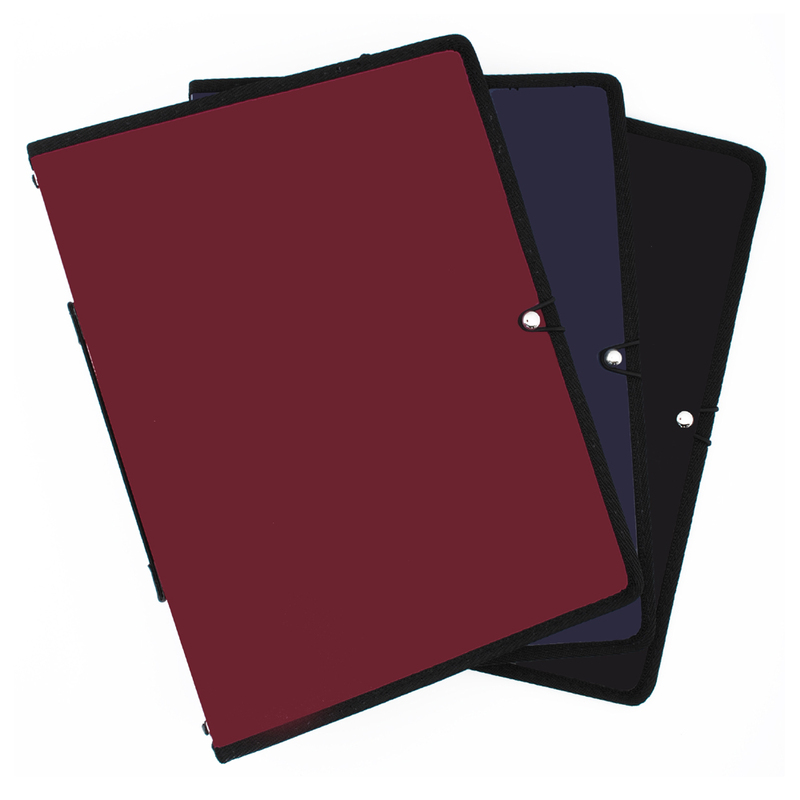 I must compliment you on your excellent prompt service"
We are delighted to supply top quality Choir Folders in three colours - Maroon, Navy and Black. We have shown our 2016 prices on this page below, for plain and printed folders, so you know the exact costs. 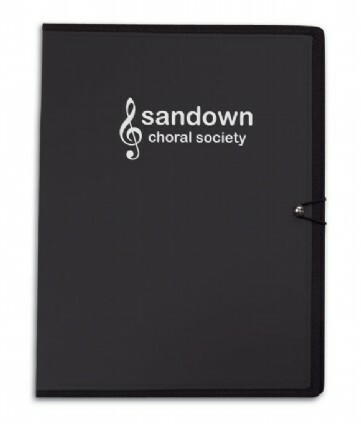 We are confident our prices are excellent for these high quality choir folders and happy to send you a perusal folder to check the quality and colour is exactly what you are after. If you wish to print your choir emblem, school crest or company logo on the front of your choir folders this can be easily arranged, please see below on this page for more information on Printed Folders and a full breakdown of the exact costs. Thank you so much for our new folders. I must compliment you on your excellent prompt service. I just wanted to let you know how delighted everyone is with the folders. had arrived and were distributed out to everyone. They really are superb. Many thanks for all your help and advice. "very good quality folders, all the features one wants, and very light" - BARTS Choir with 600 members. "We are delighted with our school choir folders and thank you for your fast service"
* The folders are very well made in durable polypropylene, lightweight, strong and stiff so will not flop open. * The choir folders features 10 retention cords (2 x 5) which are thick enough not to cut into the music pages and are welded on the outside spine so that the sporadic problem of cords ravelling and untying is avoided. * Smaller scores may be accommodated by the strong nylon pockets on both inside covers (unlike many choir folders which have clear plastic pockets which stretch). *The spine is wide enough to accept a Watkins Shaw Messiah score [one of the thickest], as well as Carmina Burana [one of the biggest]. *There is a pencil loop on the inside back cover, a name card holder and a closure stud on the front cover. 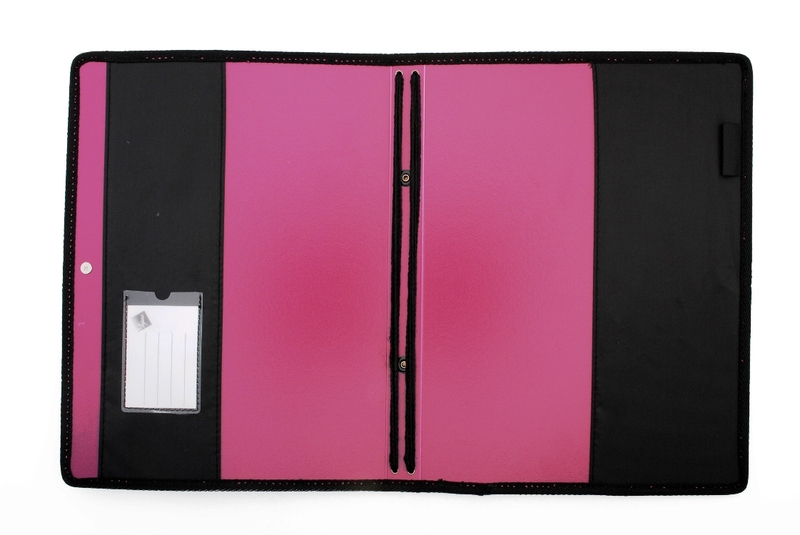 *On the back of the folder there is an expandable hand-strap so you can easily hold the folder with one hand leaving the other to turn over the page. FREE SAMPLE - Which Colour (Black, Navy, Maroon)? Do you require your Choir logo on the front?